Hiring is going to be slower for the IT industry for the years to come, Former Chief Financial Officer of Infosys, V Balakrishnan said. 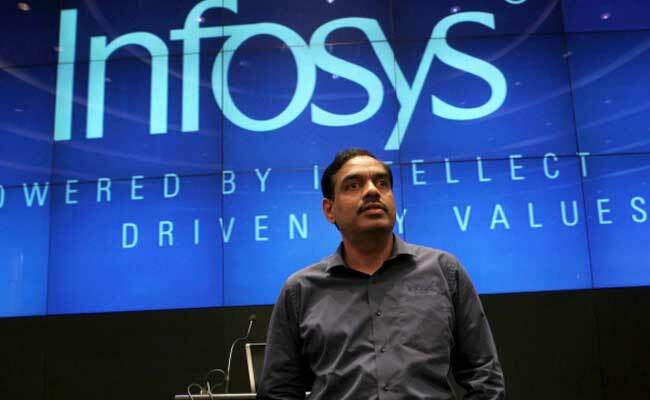 IT Hiring will be slower in the coming years former Infosys CFO said. technology field, who also did not sound optimistic about the industry achieving 7-8 per cent export growth in this fiscal. Former Chief Financial Officer of Infosys, V Balakrishnan, however, appeared positive about the industry's growth prospects next year. On his assessment of the performance of the IT industry in the first half of 2017-18, he said the current financial year is going to be challenging on the growth front because of "what's happening" in the developed markets. "Hiring has definitely slowed down. And automation is a big thing because three large companies have got net negative employee growth. So, this year is going to be challenging," Balakrishnan told Press Trust of India. But the good thing is that the US, which is the largest market for the Indian IT industry, is still doing well economically and that's good news for it, he said. "Also Europe is doing reasonably well. So, on the export front the demand environment may look better next year but digital is becoming big and, so, they (the IT industry) have to invest and make that transition smoothly," he said. On whether the sector is on track to meet the 7 to 8 per cent export growth projected by industry body NASSCOM, he said, "I don't know because most of the large companies are not growing at that pace. Even if you look at Infosys they have reduced their guidance." "So, this year is going to be challenging on the growth front but probably next year demand could come back because developed markets are doing well," he said. Normally for the industry, he said, October-March period is challenging because the growth is lower on account of lot of holidays in December; and January-March being financial year beginning for most global companies, the spending environment is challenging in that quarter. exports for India) is not un-achievable but it looks challenging," he said. Balakrishnan agreed that the slowdown in hiring in the IT sector is going to persist. "Most of the companies have become highly productive, utilisation levels have gone up and also automation is kicking in and, so, hiring is going to be slower for the IT industry for the years to come," he said. "Hiring trend is going to slower," he added.